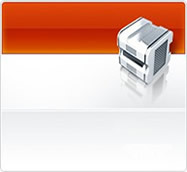 Scorpio Informatics, a company now in 9th year of operations and managed by technocrats from IIT since May 2000, offers world class hosting service (Both Shared And Managed Dedicated) from New Jersey based Data Center (Check Network Map) with consistent uptime track record, 24X7 customer support. Hosting clients from over 20 countries including UK, Ireland, Sweden, France, Germany, Italy, Argentina, Mexico, Canada, USA, Turkey and India to name a few. No OVERSELLING, No Hidden costs. You pay for what you need and not for what you can never use. No wonder we have clients who have shifted from hosts who ofer huge space and huge bandwidth at too good to be true prices as "Real Sites" always failed to run there. We Do Not Do Domain Only Accounts. 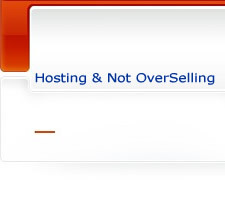 There is nothing such as "UNLIMITED" in hosting as unless it comes with "UNLIMITED" financial implications. So if you see "EVERYTHING UNLIMITED" don't get trapped. They are a big Farce as they always ensure that you can never use that by giving you very restricted "Server Resources" as is the case in shared hosting. Online Magazine Publishing System: Online CMS system custom built for Magazine Type of Sites. Includes built in editor, automatic archiving, block management, on the fly image dimensioning, category management, author management, gallery management, polls, content management section, css menu editor, built in configurable search and a host of other features which could take your online magazine presence to a different heights. Little India The Largest Circulated Indian Magazine In USA, a project that we did on turnkey basis is driven by database based CMS. For taking your magazine online or revamping your magazine site, Contact Us for complete details.